Altergy is the first company to successfully design, mass-produce, and commercially deploy rugged, low-cost fuel cells. With its breakthrough technology, Altergy manufactures a fuel cell about every 30 seconds on the world’s first and only automated, robotic fuel cell assembly line. Altergy’s Freedom Power Technology is designed from the outset to be produced in high volumes using off-the-shelf materials, stamped and molded fabrication, and standard, robotic automated assembly equipment. 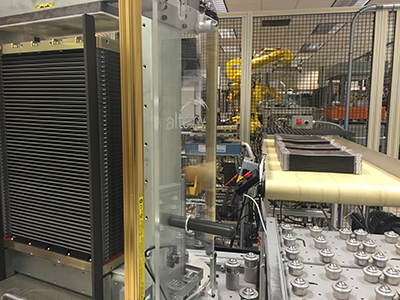 Utilizing modular, pretested subassemblies that assure fast assembly time, Altergy delivers the only fuel cell systems in mass production.